Big thanks to all our new and ongoing supporters. Last month, Rising Tide North America had an big show of support from many of you for our work. We raised over $1500 online from 21 people, including 9 folks pledging monthly donations. To those of you who donated, huge thanks, we can’t do this stuff without you! But we have to be honest: we need a lot more support through 2010. We want to raise $10,000 from supporters around the country by the end of the year. To do that we’re going to need way more than just 21 great people helping fund Rising Tide’s organizing efforts, publications, and action around the country. We know there are many people reading this who value our work who haven’t taken a chance to pitch in – we need you to let us know today that it’s important to you that our work continues and so we can evaluate what projects we can and can’t afford to do this year. So please join our monthly sustainer program by clicking here. 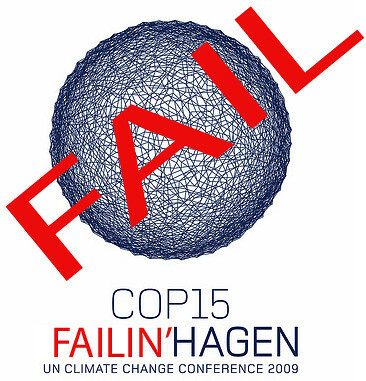 Our work of building a REAL climate justice movement in 2010 is more critical than ever after the failed climate negotiations in Copenhagen. From the coalfields of Appalachia to the carbon trading streets in New York and Chicago to natural gas struggles all over the country, Rising Tide is building a network for critical struggles against the root causes of climate change. We’re an 100% unpaid, all volunteer collective and network with no paid staff or major foundations supporting us. That means we rely only on you and need your financial support, no matter how big or small the amount.For $5, $10 or $50 a month, you can help SUSTAIN one of the crucial, creative, and radical role of Rising Tide within the climate movement. P.S. We at the end of the month, all Rising Tide sustainers of $10 and people who donated $100 during this drive will get entered in a raffle for one of 5 fancy “Art not Oil” day planners as a free gift. Check it out and please pitch in today! 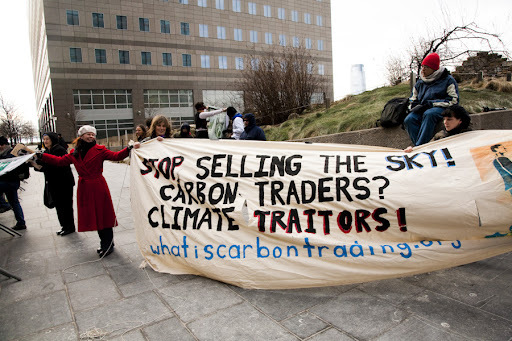 Climate Justice Activists confront Carbon Trade Summit! In the wake of a controversial outcome at the Copenhagen climate talks, a diverse crowd of scientists, Faith congregations, activists, students, and concerned citizens converged in confrontation and protest at the 2nd Annual IGlobalForum Carbon Trading Summit. 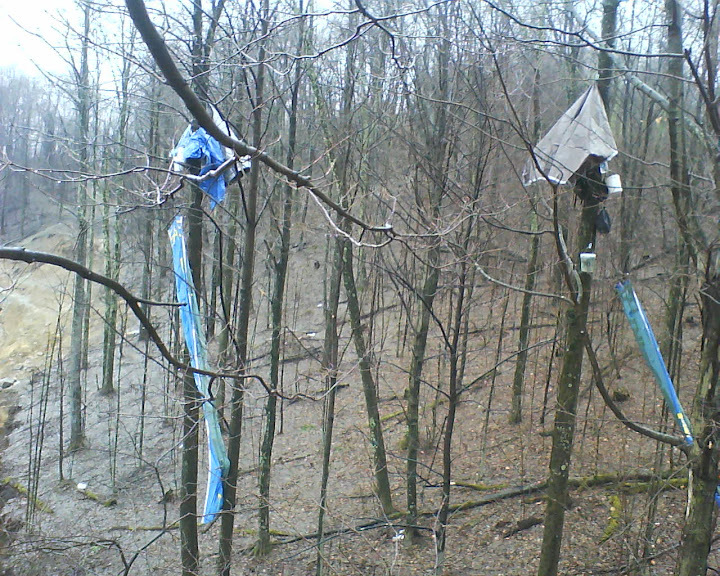 Protestors associated with Climate Ground Zero (CGZ) and Mountain Justice have halted blasting on Coal River Mountain with a three-person tree-sit. One of the sitters has been arrested but two remain in the air as of the time this newsletter was written. Massey Coal is trying to harass the sitters into leaving using the sound machine, hitting the platforms with a rope, cutting down nearby trees and constant flood lights, essentially using torture tactics on the non-violent protesters. Climate Ground Zero is asking everyone to call Massey’s international headquarters and demand an immediately stop illegally using noisemakers to harass the tree sitters! The phone number is 804-788-1800 (Richmond, Va) – script on CGZ’s website! Spread the word, and check out Climate Ground Zero for more information! 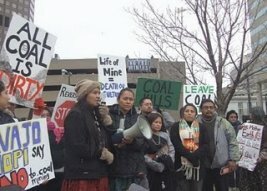 A Department of Interior Administrative Law Judge withdrew Peabody Coal Company’s Life of Mine permit for operations on Black Mesa, AZ, a major victory to tribal and environmental organizations. Besides encouraging tons of flight emissions the 2010 Winter Olympics are a huge human rights and environmental justice issue – here’s news on resistance in from across Canada. do this work for pay. handful of small donations – every little bit helps.. Need to get off of this email list? It’s super easy. Just send a blank email to risingtide-unsubscribe@lists.riseup.net. and you’ll be off the list.